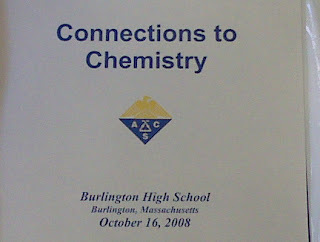 For the ninth straight year, Burlington High served as the host for the American Chemical Society's annual Connections to Chemistry event. Planned in conjunction with the University of Massachusetts Lowell, the program has found a home in Burlington thanks to the efforts of our Science Department Head Dr. Peter Nassiff. Yesterday's event brought teachers and professors from over 55 schools in Massachusett, Maine, New Hampshire, and Connecticut. This was an outstanding event! 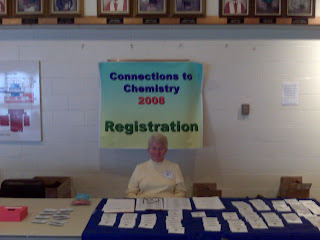 I would like thank the organizers and teachers who participated - the energy was contagious! Remember - be proud to be a chemist because we improve people's lives.